LOS ANGELES, May 20, 2010 -- The Northrop Grumman Corporation (NYSE:NOC) Foundation is accepting teacher applications for the Weightless Flights of Discovery program taking place in Salt Lake City on Sept. 22, 2010. A maximum of 30 teachers will be chosen to participate in the unique initiative that places teachers on micro-gravity flights to test Newton's Laws of Motion and energize students in the formative middle-school years. 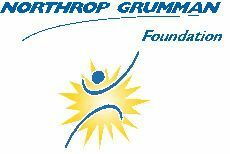 Salt Lake City area middle-school math and science teachers in public schools are welcome to apply for the program at www.northropgrumman.com/goweightless . "The Weightless Flights of Discovery program was launched with the goal of inspiring teachers, who would in turn inspire their students to pursue science, technology, engineering and math (STEM) education," said Sandra Evers-Manly, president of the Northrop Grumman Foundation. "This program has succeeded beyond our expectations and is now very much in demand. We're delighted that 30 teachers in Salt Lake City will join the 1,150 teachers nationwide who have participated to date."